The 9th Philippine Bird Festival, the country’s largest celebration of avifaunal diversity and bird lore awareness, takes off in Zamboanga—Asia’s Latin City—and will bring attention to the conservation of the Pasonanca Natural Park forest and rich coastal ecosystems of this southwestern Mindanao destination. This year’s festival themed “Pajaros: Bula sin miedo, sin lingasa”—Zamboanga’s Spanish-based Chavacano for “Birds: Fly Without Fear, Without Worries”—coincides with the presence of wintering Barn Swallows or layang-layang, a migrant from northern Asia which roosts in hundreds of thousands in downtown Zamboanga. The Barn Swallow—a symbol of peace and cultural understanding—was chosen as the flagship species of the festival to highlight the popular hopes for better ties among the peoples of the region, starting with a common interest in birds and nature conservation. Zamboanga City—Bird watchers, conservationists and tourism promoters from all over the country and abroad are expected to flock to the Paseo del Mar in this city on February 28 and March 1 for the 9th annual Philippine Bird Festival, the country’s largest celebration of avifaunal diversity and ecotourism promotion. 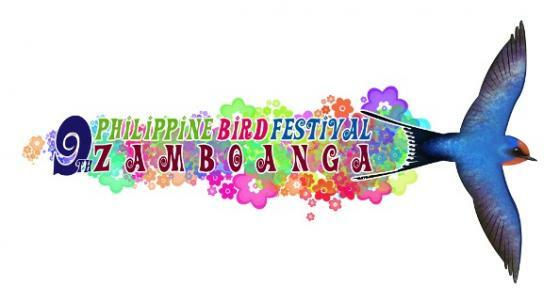 The bird festival is also part of this year’s Dia de Zamboanga festivities. Themed Pajaros: Bula sin Miedo, sin Lingasa”— Zamboanga’s Spanish-based Chavacano for “Birds: Fly Without Fear, Without Worries”—this year’s bird festival aims to promote the birdwatching hobby as a nature tourism activity and drum up support for conservation and restoration of coastal wetlands and the Pasonanca Natural Park, right in the heart of Zamboanga City. The 9th Philippine Bird Festival coincides with the presence in Zamboanga City of the migratory Barn Swallow or layang-layang. This year’s Philippine Bird Festival logo celebrates the graceful flier from Japan, China and the Russian Far East, which roosts downtown in hundreds of thousands. The wide-ranging Barn Swallow—a symbol of international peace and understanding—was chosen as the flagship species of the festival to highlight popular hopes for closer ties among the peoples of the region, starting with common interest in birds and nature conservation. “The Philippines—with its 600 species of birds and no fewer than 200 found nowhere else—is part of the Asia-wide ecosystem and the conservation of habitats will have positive impact on Asian birdlife and the health and livability in the entire region,” according to Gina Mapua, Philippine Bird Festival committee chairperson and president of the Wild Bird Club of the Philippines (WBCP), the country’s leading bird watching society. With its unique habitats across more than 7,100 islands, the Philippines is fast becoming a magnet for birdwatchers in the Asian region and further afield. Yet, with its wealth of endemic bird life, Zamboanga City with its 17,414-hectare of secondary- and old-growth hardwood forest in Pasonanca Natural Park remains largely overlooked by birdwatchers and eco tour operators. Danish ornithologist and long-time Philippine resident Arne Jensen described Pasonanca Watershed as one of the best-managed nature sites in the whole Philippine and allows year-round bird-watching. The natural park is the showcase of Mindanao-endemic species such as the Zamboanga Bulbul, White-eared Tailorbird and the Mindanao race of the Wattled Broadbill. A short hike from the Pasonanca Park one can already spot forest species like babblers, flycatchers and kingfishers. Higher elevations offer rarer and more elusive species such as the Writhed Hornbill (tuhek) and another forest jewel, the Steere’s Pitta (babaqua). The coastal wetlands of Zamboanga City attract large congregations of migratory terns (kanaway) and wader species like stilts, sandpipers and plovers (tarinting). The fishponds of Zamboanga State College of Marine Sciences and Technology, beside historic Fort Pilar, are a nesting area for Rufous and Black-crowned Night-herons (bakaw) and the site of the first documented case of breeding Great Egrets (talabong) in the Philippines. The festival will be held at the Paseo del Mar and is open to the public, free of charge. It will feature bird watching trips, an exhibit on the natural history and bird photos by the city’s leading and amateur nature photographers, films and lectures, and forums on eco-tourism and birdlife management. Organizers said an activity center featuring bird-themed folklore, crafts and games will be on tap for the young and the young at heart. The Philippine Bird Festival was launched by local bird watching hobbyists in Quezon City in 2005 and in succeeding years brought the message of birdlife awareness and conservation to the country’s important bird areas like Balanga City (Bataan), Manila Bay, Dumaguete City (Negros Oriental), Puerto Princessa (Palawan) Cebu and Davao City. Similar events take place throughout the world each year, attracting large numbers of bird watchers, scientists and nature enthusiasts. In Asia, the Philippine Bird Festival kicks off the annual bird festival activities followed closely by Malaysia’s Raptorwatch in March, the Borneo Bird Festival in June, the Taipei International Birdwatching Fair in October, the Thailand Birdwatching Fair in early November and culminating in the 5th Asian Bird fair in Langkawi in the last week of November. This year’s Philippine Bird Festival will be jointly-hosted by the City of Zamboanga, the Department of Tourism IX and the Department of Environment and Natural Resources IX. International organizations such as the Malaysian Nature Society, Bird Conservation Society of Thailand, Asian Raptor Research and Conservation Network, Wild Bird Society of Taipei, Tourism Malaysia and Swarovski Optik will be participating in the festival, alongside local organizations and institutions including the Katala Foundation (Palawan), Birdwatch Palawan, Penagmannaki (Negros Oriental), Haribon Foundation, Earth Island Institute, the Philippine Native Plant Society Conservation Society and Save Freedom Island Movement. The City of Balanga and regional offices of the Department of Tourism and Department of Environment have also confirmed participation. Sponsors of this year’s festival are the Ramon Aboitiz Foundation, C. K. Lu Enterprises, AES Philippines, and Primer Group with local partners are Zamboanga State College for Marine Sciences and Technology, the Camera Club of Zamboanga, Western Mindanao State University, Department of Education Regional and Division Office, Department on Interior and Local Government R-9, Commission on Higher Education, Zamboanga City Water District, Philippine National Police, Task Force Zamboanga, Philippine Red Cross, Tourism Infrastructure and Enterprise Zone Authority, Zamboanga Special Economic Zone Authority, Barangays of Baluno & Calarian.